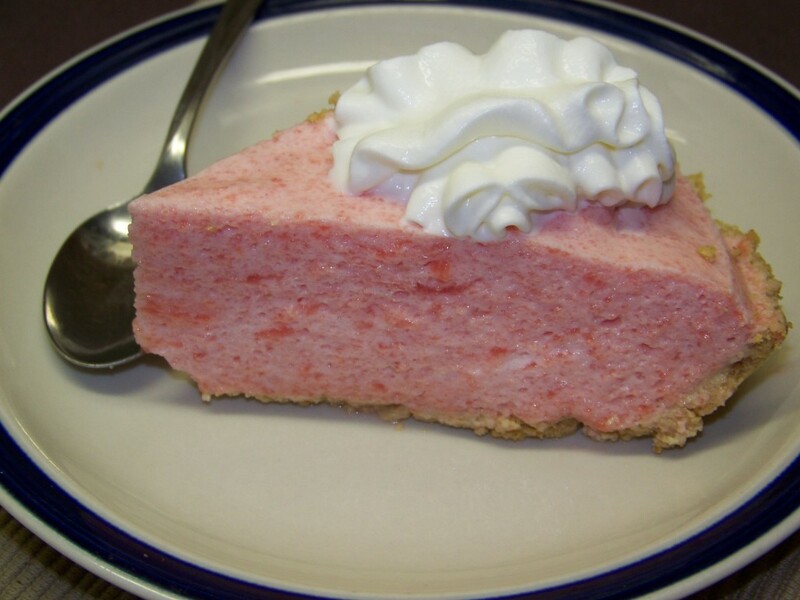 Watermelon chiffon pie is not only light and airy; its flavor is light too. It’s perfect for a summer treat and a great alternative to the more common lemon version. Depending on whether you use Jell-O or gelatin, the first step will vary. Using Jell-O: Add the Jell-O to the boiling water and mix until Jell-O crystals dissolve. Add the boiling water and cold water to the heat-proof bowl and stir. 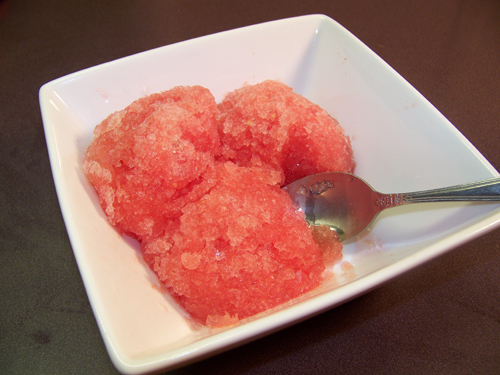 Using gelatin: In a medium size heat-proof bowl, add the cold water and unflavored gelatin. Mix and let sit for a few minutes until the gelatin softens. The gelatin will look and feel like globs of rubber at this point. Add the boiling water and stir well to ensure all the gelatin globs have dissolved. No matter which you used; Jell-O or gelatins, the instructions from this point are the same. 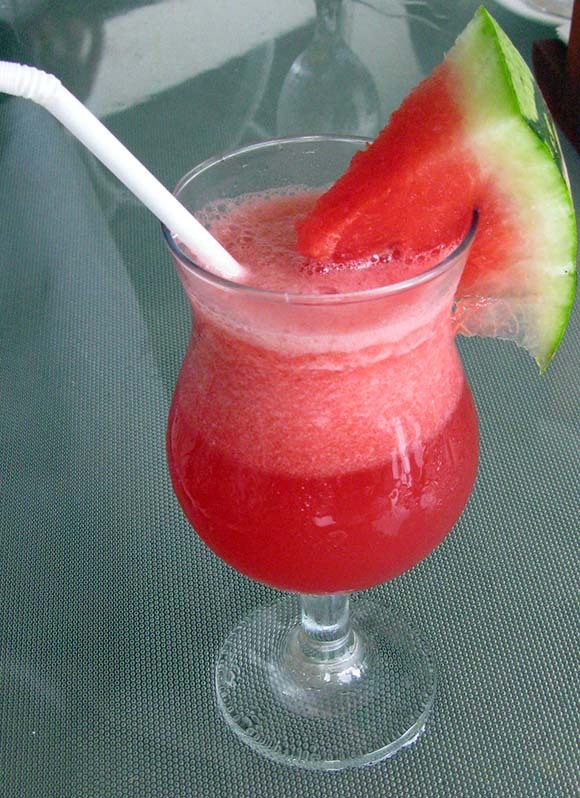 Add the confectioners’ sugar & lemon juice and watermelon puree. Stir well. Set aside to bring mixture to room temperature. This step is important! 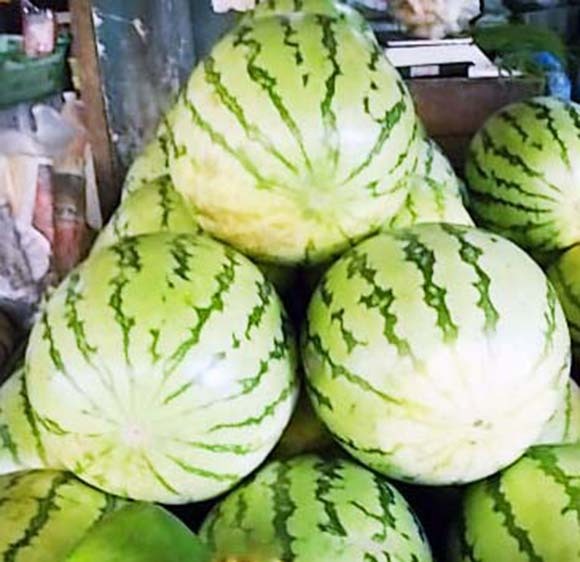 Depending on whether you started with a room temperature melon or one that had been refrigerated, this may take 10 – 30 minutes. 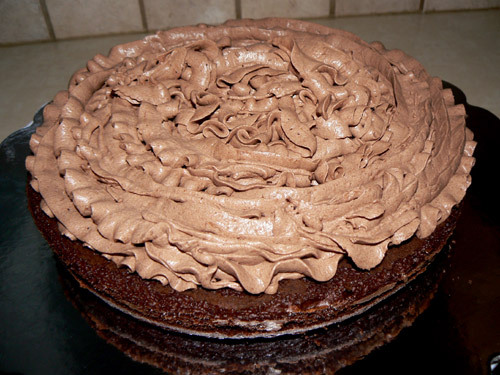 Once it reaches room temperature, refrigerate until the mixture begins to thicken; about 20 minutes. Once thickened, in a separate bowl, beat the egg whites until stiff and fold them into the mixture. 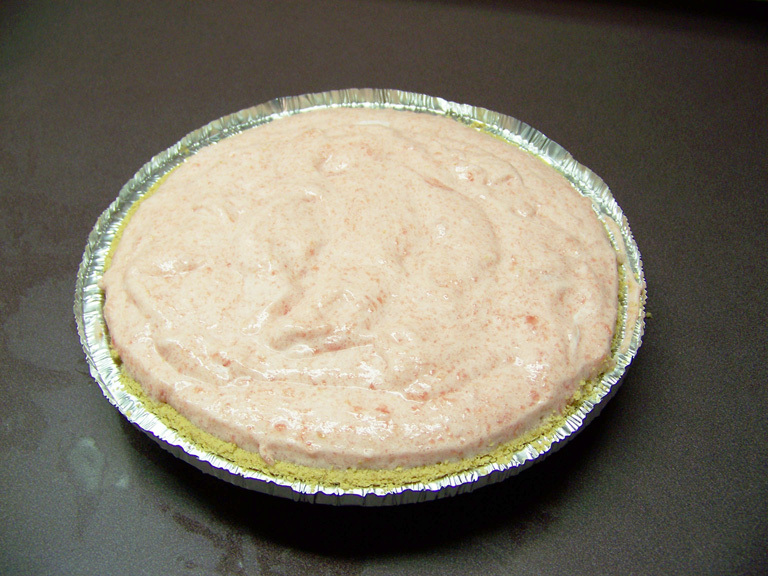 In a separate bowl using a mixer whip whipping cream until fluffy then fold into watermelon mixture. Once everything is combined well, pour into prepared crust. Refrigerate until firm. Garnish each serving with whipped topping. Then enjoy your watermelon chiffon pie. As a side note, when you think Chiffon, you probably first think of lemon chiffon pie as it’s the most common flavor. However, just because it’s most common, doesn’t mean you can’t experiment with other flavors as we have done here. Chiffon can literally be made with just about any flavor you want; from strawberries, blueberries, peach or pumpkin to chocolate or coffee – the options are limitless. How to Make Watermelon Sorbet Chocolate Mousse Cake Made Easy Watermelon Shake Recipe Top 3 Steps on How to choose a sweet and ready to eat watermelon without slicing it.